"Had gone for one of our many lunches we have with our mentor and doctor" Willis Wataffi of Afrika Revenge. Pic from Mehluli's. Facebook timeline. 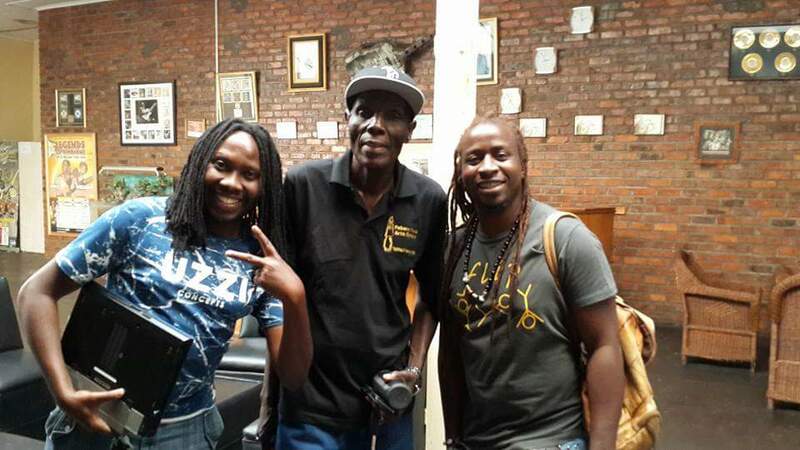 Afrika Revenge and Oliver Mtukudzi after lunch in Norton.